VIDEO: Gerphil Flores' performance of "Impossible Dream" in finals of Asia's Got Talent - Balita Boss! Gerphil Flores makes the dream possible with an emotional, high pitched cover of "The Impossible Dream." After, David promises Gerphil that, "the world is going to know about you!" 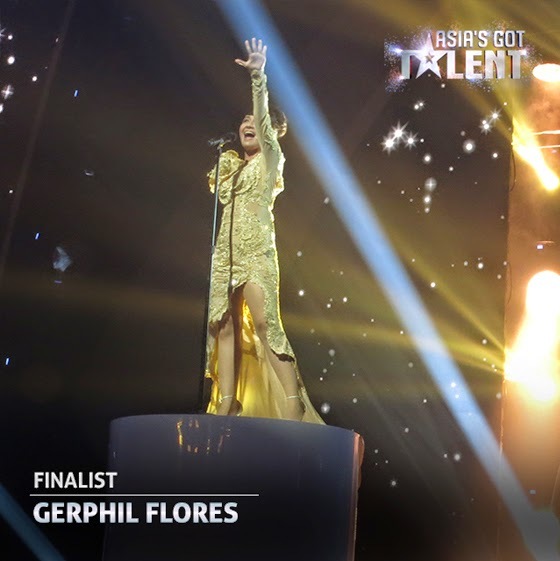 Gerphil Geraldine Flores performed "Impossible Dream" popularized by Frank Sinatra in Asia’s Got Talent Grand Finals on Thursday, May 7, 2015 held at Marina Bay Sands in Singapore. The judges of the Asia's Got Talent were all on their feet after the performance of Flores, a student of University of the Philippines College of Music taking BM Voice. "My golden girl, you know tonight, the song is called impossible dream, you just made a dream possible. You absolutely killed it. I promise you. I promise you. The world is gonna know about you. That’s a promise," David Foster said after Gerphil’s emotional finals performance. Aside from Gerphil Flores, there are eight other acts performed in the grand finals of “Asia’s Got Talent,” including fellow Filipinos Gwyneth Dorado - 10-year old singer, El Gamma Penumbra - shadow play group, and Junior New System - dance group. Asia's Got Talent is hosted by Marc Nelson and Rovilson Fernandez while the judges are Grammy-winning musician Foster, Taiwanese-American pop idol Vanness Wu, former Spice Girl Melanie C., and Indonesian rock icon Anggun.